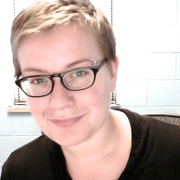 Amelia Hoover Green is a field consultant to HRDAG, an active blogger, and an assistant professor in the Department of History and Politics at Drexel University. She began work for HRDAG in January 2007, continued as the 2007-2008 Research Fellow, and has been closely involved with a number of HRDAG projects since that time. Her HRDAG work includes data analysis and writing on Kosovo, Colombia and Liberia, among other projects. Most recently, Amelia’s HRDAG work includes co-authoring the volume Using Quantitative Data to Assess Conflict-Related Sexual Violence in Colombia (2011), and an ongoing effort to estimate the number of killings and disappearances during civil war in El Salvador. In addition, Amelia has been closely involved with projects to bridge the academy/advocacy divide. Her current book project, which employs HRDAG data, is among the first social science projects to use multiple systems estimation to correctly describe patterns of civil war violence. The project explores the effects of armed group institutions for ideological indoctrination, discipline and socialization on patterns of violence against noncombatants. She received her doctorate in political science from Yale University in 2011.